A guided journal is always a good thing to have- isn't it? Give you some space when you can think of anything to write, you have a prompt and a pen! 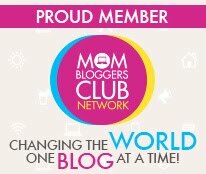 You have a quote and food for thought every week as well as the two questions. * It has a built-in ribbon bookmark-- and not only is it colourful, but there are also three ribbons so you can choose three thinks to bookmark. * If you want to you can switch back and forth between the week's themes and be able to focus on what you want or you can go through the book week by week. * There are some really easy questions but there are also very hard questions that will help you grow as a person. * That there are only two questions a week--- and naturally, as a writer, I would want more! * Harder to port around but you can still. I give this book a 5 out of 5! I can't wait to do this all year long! Are you standing in the middle of opportunity and being overwhelmed of crazy when you really need calm? Not sure where to start to simplify and bring grace and peace to your home? A Standard of Grace is a gorgeous four-color, joy-inspiring guided journal designed to help you nurture your dreams, discover your hopes, and pay attention to those things you hold dearest to your heart. 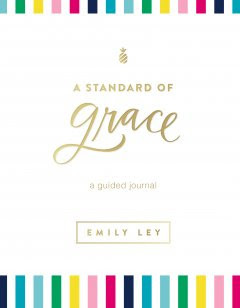 With quotes, journaling prompts, and Scripture, bestselling author of Grace, Not Perfection and A Simplified Life Emily Ley, encourages you to reach for the life of you want—all while holding to a standard of grace. Both gorgeous and useful, A Standard of Grace will make a lovely gift and keepsake as well as be a powerful tool for both embracing where you are while reaching for your goals and dreams. Through practical, easy-to-follow prompts for journaling and reflection, Scriptures, and inspiring imagery, you'll find an accessible, inspirational journal that to enjoy personally and to share with friends.